The deep, deep blues. The kind of blues you used to hear on a distant radio station broadcasting from somewhere down south, late at night. The kind of blues where you wake up early in the morning and all you can think of is your lover and you wonder where they've gone. The kind of blues that makes you want to go somewhere and dance or shout or just be alive. Those kinds of blues. 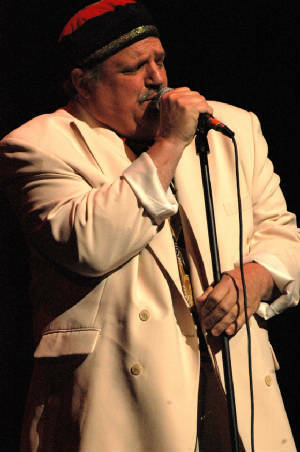 Bret Littlehales “Big Boy Little” has been singing and playing blues harp in the Washington, DC area since 1967. He’s opened for such blues greats as B.B. King, Koko Taylor and Junior Wells. The Big Boy Little Band has had the honor of being the house band at the Zoo Bar – DC’s only all-blues club – for the past six years. The band also features guitar sensation Steve "Baby Jake" Jacobs (played with the late great Chicago bluesman Carey Bell for 20 years), along with the great Andy Hamburger on drums, and blues bass maestro left-handed "Wolf" Crescenze on bass. 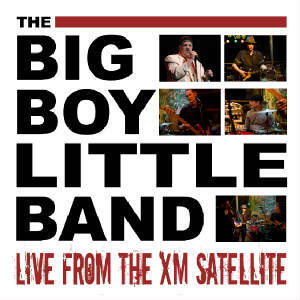 The enigmatic, quixotic, mysterious, always entertaining – Big Boy Little Band. CD Recorded live at XM Satellite Studios! CD Release Party was held on Sat., Aug. 7, 2010 at the Zoo Bar Cafe with special guests XM Radio's "Bluesville" Channel 74 Host Bill Wax, The Nighthawks' Mark Wenner & Bruce Ewan + more! June 2010 - check out "The Big Boy Little Band - On the Brink of a Breakthrough" article by Larry Benicewicz in the Baltimore Blues Society Newsletter - see article under "Press" link! January 2010 - BBL finishes in Top 11 at the Blues Foundation's Int'l Blues Challenge in Memphis, TN - billed as the "World's Largest Gathering of Blues Bands" - out of 110 bands from 39 states and 14 countries! It was an honor to represent the DC Blues Society and the DC blues community in Memphis! A huge thank you to the DC Blues Society for sending us to Memphis and thanks to all our friends who have come out to hear us and made contributions to the trip fund! Thanks to the venues that hosted our Memphis trip fundraisers: Zoo Bar Cafe (Washington, DC), JVs Restaurant (Falls Church, VA) and Old Bowie Town Grille, as well as the musicians who performed at our fundraisers - we really appreciate all your support! "Great job guys. You all sounded great." "This guy's a real blues player." “He was a major influence on shaping the Washington blues scene back then & he's still playing the real 100%, low down & dirty blues to this day." “Now Bret's back. I guess I better tighten up." "These guys play blues for grown-ups."